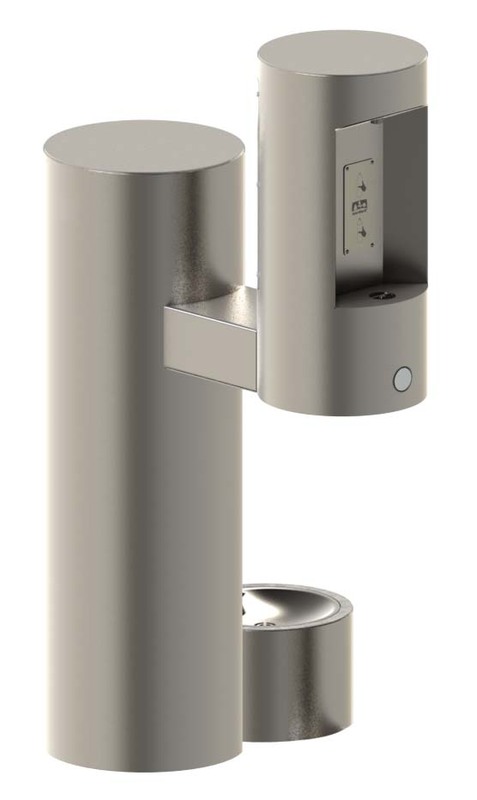 GYU64 Series is a barrier-free stainless steel outdoor pedestal bottle filler. 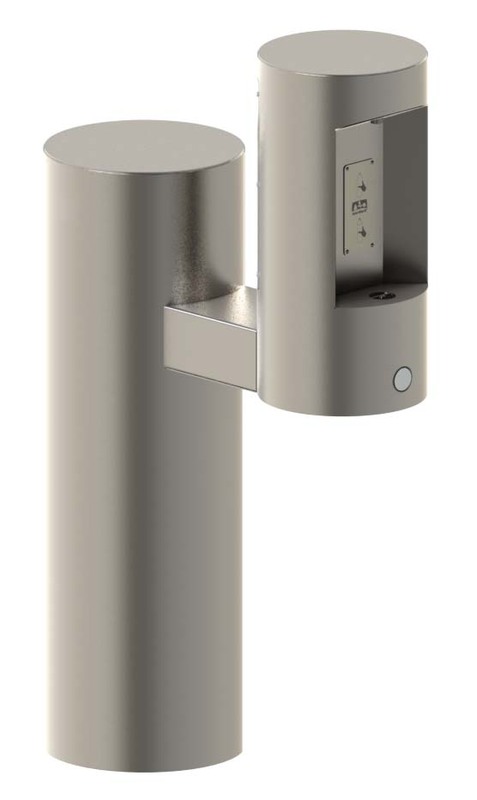 Bottle fillers shall be activated by a 9 volt sensor or a pushbutton as standard. Unit shall contain a 100 mesh inlet strainer, lead and cyst filter, 6-AA battery pack and laminar flow spout. A pet fountain version is available with a suffix option -PF.